BBC's new talent schemes could kick start your passion into a job that you love. The BBC is a top graduate employer in the arts and creative industries. 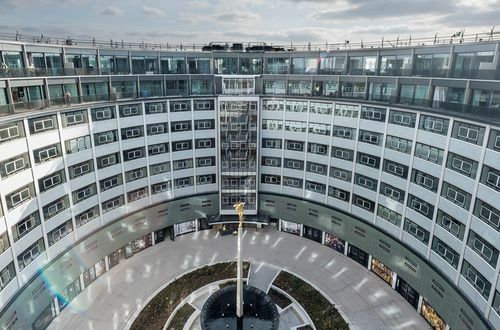 If you’re a passionate, driven individual with a keen interest in media, then the BBC new talent scheme could be for you. These online tests will be the first step in the BBC application process. You can read more about the types of test below. This is designed to test your people skills and how you work within a group. You will be required to provide possible solutions to a given problem. This is a chance to show the assessors your skill set and how suited for the job you are by responding to situations that you are presented with. This BBC numerical reasoning test comprises of a series of questions relating to graphs, percentages and tables whereby you will be asked to analyse data and chose from a set of multiple choice answers. These will be timed so ensure you sit them in a quiet environment. The BBC use SHL as their test designer. This test comprises of a series of paragraphs which you will be required to read and then answer questions. Your options will be True, False or Cannot Tell. The KPMG verbal reasoning test will be assessing your analytical skills. These will be timed and you will be required to do a fair amount of reading so make sure you are somewhere where you can concentrate. The diagrammatic and logical reasoning tests comprise of questions relating to sequences of shapes and patterns. In each question there will be a missing step and you will be provided with a number of answers to choose from. You may be asked to sit this type of test again at the assessment day. The BBCsituational judgement test presents you with a series of challenging scenarios that one might encounter in the workplace and then a number of possible responses to the scenario. You then chose which one you feel is the best way to describe how you would react. As with the rest of the tests you will be timed and so it is important that you read the information properly and not rush.